Southern Tuscany is "wine central" for Italian wines. Just over an hour north of Torre Alfina, you will find the beautiful Tuscan hilltop town of Montalcino, the source of Tuscany's richest and most full-bodied wine: Brunello di Montalcino. This dense, robust red is among the most prestigious and sought-after wines in the world, earning its vineyards one of the first DOCG distinctions awarded in Italy. Nearby is the picturesque hill town of Montepulciano, renowned for another top red wine: Vino Nobile di Montepulciano. These two southern Tuscany towns – each a short drive from Torre Alfina – put Italy on the world map of red wines. Orvieto, located just half an hour from the villa, is the best-known wine area of Umbria, accounting for 80% of the region's grape cultivation. Here you will find some of the country's most amazing wines – from crisp, dry whites to deep, antioxidant-rich reds. Orvieto is best known for its Orvieto Classico, a white blend composed primarily of Grechetto and Trebbiano grapes. The vineyards and wineries that produce Orvieto wine are found on both sides of the Paglia, a tributary of the Tiber River that flows from Tuscany through the Monte Rufino Nature Reserve of Torre Alfina to Orvieto. 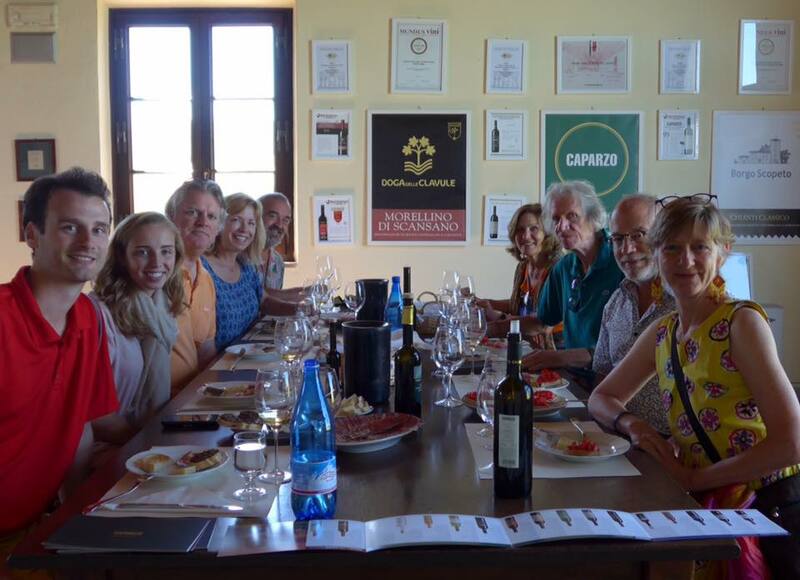 Depending on your preferences, we can arrange visits to small, family-owned-and-operated wineries for tastings and tours to get a firsthand look at what goes into making these world-class Italian wines. If your trip coincides with the annual vendemmia (grape harvest) we can help arrange a visit to a vineyard that welcomes extra hands and onlookers. The same region that produces the finest wines also boasts some of the best olive oil in the world. If you prefer to focus your tastebuds on the subtleties of world-class olive oil or want to combine the best of both olive oil and wine, we can help arrange a special tasting for you and your party.